Since harmful bacteria can thrive in cooked food in a so-called danger zone between 40 and 140 degrees Fahrenheit, bringing down the internal temperature as efficiently as possible is essential. 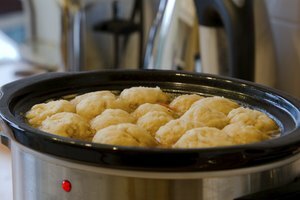 The two-stage cooling process, the standard method in commercial kitchens, is the FDA-approved technique. 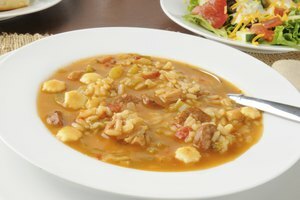 Receive a cold soup or steak in a restaurant, and you could be forgiven for thinking that food naturally cools in a matter of minutes. However, restaurant portions are served in shallow, open flatware and in small cuts. A 20-pound turkey or large pot of stock, on the other hand, can take double-digit hours to reach 40 F internally. Go back to the Thanksgiving turkey in the refrigerator after a few hours for cold cuts, and you could be serving meat that is nourishing an explosion in dangerous pathogens. As its name implies, the two-stage process brings the temperature down in two steps, the first of which is designed to bring the internal temperature out of the critical part of the danger zone as quickly as possible. Food should be lowered from 135 to 70 F within 2 hours. Slinging a joint or pot in the refrigerator alone will not accomplish the task. Factors affecting cooling include the density of the food, the size and type of container and the food volume. 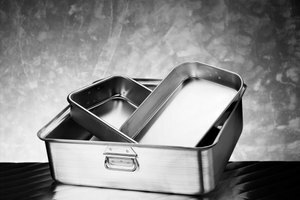 Gravies, sauces, soups and stews should be transferred to a shallow pan, ideally a metal container for quick heat transfer. The pan should then be placed in an ice bath or within a bowl of cold water. Ice and water draw heat away far more efficiently than circulating cold air in a conventional refrigerator. Stir liquids regularly to distribute the hot center toward the cooler exterior. For broths and light sauces, ice can also be added. Do not fill the pan deeper than 2 inches to allow maximum heat release. Large meat portions should be broken down into smaller slices, no thicker than 4 inches, and arranged in a single layer on a shallow tray. Foods should be left uncovered during the first stage, but never left to cool on the counter without any additional cooling method. Once the food has reached 70 degrees within 2 hours, the second step is to bring it down to 41 degrees within the next 4 hours. The overall cooling time, therefore, should not exceed 6 hours. Bear in mind that it is the internal temperature that needs to be measured, not the surface. An instant-read cook’s thermometer is the most reliable tool. When arranging trays or pots in the refrigerator, give them plenty of room for the air to circulate, and don’t stack them. As soon as the temperature reaches 41 degrees, they can be covered with a lid or foil. If the food has not reached 41 F within 4 hours, it needs to be reheated to 165 F for at least 15 seconds, then cooled again, following the same process, but correcting the lapse by transferring to a larger container or slicing into smaller portions. 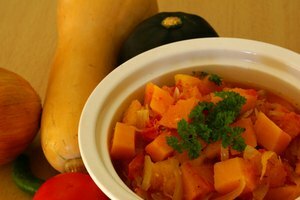 Cooks might wonder why the dish can’t be allowed to cool until it is warm to the touch, then placed immediately in the refrigerator. The one-step method, in which foods are dropped to 41 degrees within 4 hours, is only appropriate for foods that use ingredients normally stored at room temperature. 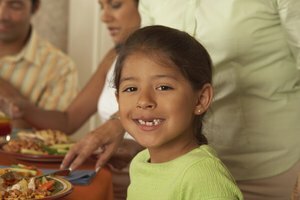 Since refrigerators are designed not to cool food down but to hold it at the desired temperature, cramming large portions of hot roast or stock in a domestic refrigerator will not only overwork the appliance, but also raise the overall temperature inside, putting other foods in harm’s way. Where large walk-in coolers are in place, typically in commercial kitchens, the volume of food prepared at a time makes cooling within 2 hours practically impossible. A pot containing gallons of stock, for example, will take half a day to cool sufficiently.